and made in the United States. 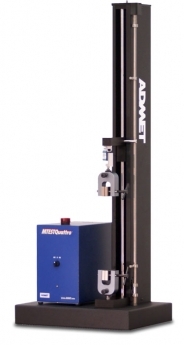 For over 25 years, ADMET testing machines have been helping customers with their mechanical testing needs. 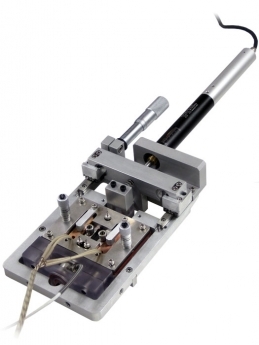 Our non-contacting VeX Video Extensometers enable strain measurements of high elongation materials, biomaterials in situ, wires, films and other thin specimens across a range of temperatures. People depend on materials every day. ADMET engineers will work closely with you to diagnose your needs then design and deliver a testing system that meets your requirements. Will your structures stand the test of time? Our approach is always the same: get to know the customer, diagnose their issues and assess whether we can improve their performance. We can’t always help. However, after over 25 years of solving materials testing problems across a wide spectrum of industries, we have built the enviable reputation of making customers happy. 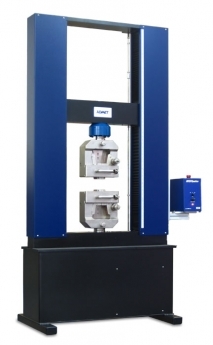 The eXpert 1000 series servohydraulic universal testing systems are ideal for testing metals, composites, medical devices and implants, concrete, webbing, and other materials at very high load capacities without breaking your budget. Each frame employs strain gauge load cells for direct measurement of force. These frames offer exceptional accuracy and precision in a simple low maintenance design. 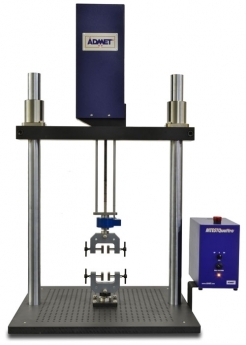 The eXpert 7600 series single column universal testing systems are capable of performing tension, compression, flexure and peel/adhesion tests in an affordable and compact package. Efficient in design with force capacities to 5 kN, the eXpert 7600 series machines feature the industry’s largest vertical test space, making them ideal for testing high elongation materials. The eXpert 2600 series universal testing systems are available in table top or floor standing configurations from 2 kN to 300 kN. The 2600 series testers tackle the toughest tests with their superior axial alignment, stiffness, and crosshead guidance. A simple yet customizable design allows for lower cost, faster delivery, and years of maintenance free operation. 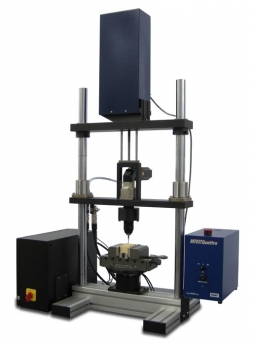 Ideal for simulating real-world conditions, ADMET offers both planar biaxial and axial-torsion test systems. 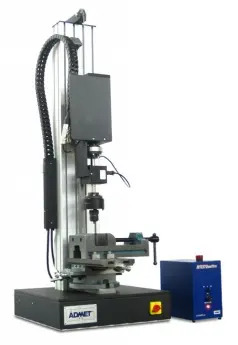 Static axial-torsion test systems are offered by adding a torsion actuator to one of our standard single or dual column universal testing machines; providing you the flexibility to perform axial-torsion, uniaxial, and torsion-only tests with one machine. 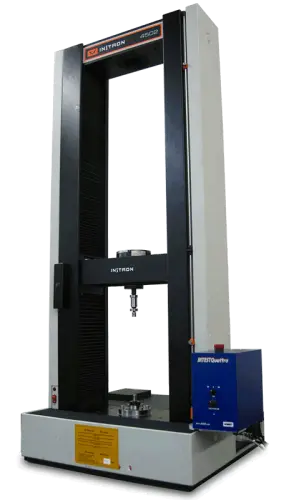 The eXpert 5000 series universal testing systems feature configurable frame components and a detachable actuator. This modular design approach gives the operator the ability to arrange their system in a variety of vertical or horizontal orientations. Perfect for users wanting to perform a variety of tests on a single machine, the 5000 is ADMET’s most affordable testing system. The eXpert 4000 is a full featured miniature testing machine that performs tension, compression and bend tests at capacities up to 5 kN (1,125 lb). The eXpert 4000 features opposing moving crossheads which means the center of the specimen never moves; a necessary feature when the eXpert 4000 is used with a microscope for measuring the strain properties of materials. 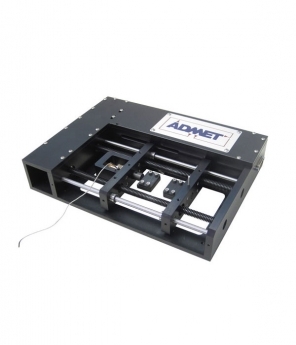 ADMET eXpert 9000 torsion testers employ a linear slide design for maximum torsional stiffness and minimal axial friction. A reaction torque transducer is attached to a movable tail stock mounted on a linear slide. The tail stock can be left free floating or clamped during testing. 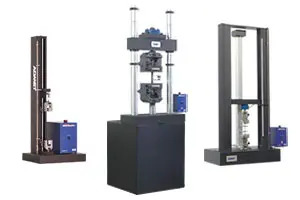 All torsion testers feature unlimited rotation in both directions and are ordered as either horizontal or vertical testers. The eXpert 3900 and 5900 series table top dynamic testing machines are compact, quiet, and clean electro-dynamic testing systems. 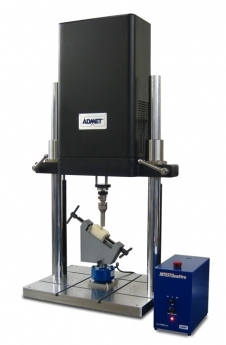 ADMET also offers the eXpert 9900 torsion fatigue tester and eXpert 1900 servohydraulic fatigue tester for high force applications. Fatigue testing systems are equipped with either the MTESTQuattro or DC1x high-speed closed-loop controllers. The BioTense Perfusion Bioreactor is an innovative instrument to help tissue engineers and cell biologists perform high resolution investigation in mechanobiology. Unique to the BioTense is its ability to apply mechanical stimulation and directly observe cell/matrix interaction at magnification over long periods of time. The Bioreactor sits atop the XYZ stage of an inverted microscope. 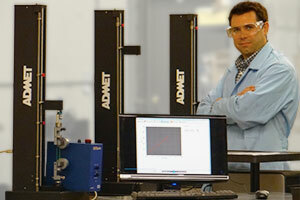 What can an ADMET Universal Testing System retrofit do for you? By pairing an older system with an ADMET controller or indicator, the functionality of the system is transformed. An ADMET retrofit will increase the accuracy and capability of your testing system and ensure that your tests are consistently and reliably performed to defined testing standards. 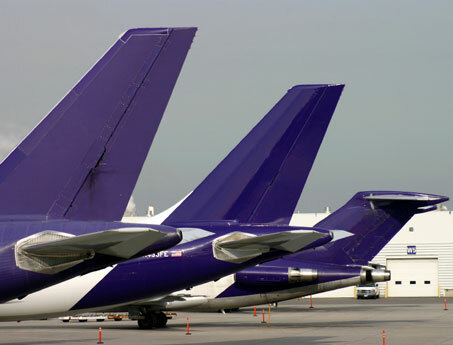 With a modern computerized system, your results are calculated quickly and error free and are easily exported into a wide variety of report formats. ADMET retrofits electromechanical and servohydraulic testing machines from ATS, Baldwin, Instron, MTS, Riehle, SATEC, Shimadzu, Tinius Olsen, United, and more! In addition to adding controllers and indicators, ADMET can upgrade a system with a new servo motor, servohydraulic power unit, actuator, load cell, or pressure transducer as well as convert the system to full closed-loop automatic control. Talk to one of our experienced staff about retrofitting your machine today! Let Us Help With Your Machine Retrofit! 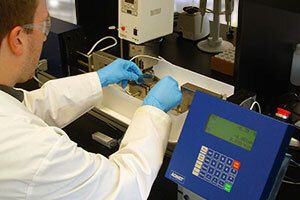 For over 25 years, ADMET has been helping companies solve their material testing challenges. Here are some stories of how we’ve worked with our customers to improve their testing process. A major corporate jet manufacturer was asked by its customers to expand its maintenance and testing capabilities. They needed a universal testing system that could accommodate components from a broad range of aircraft from many manufacturers. 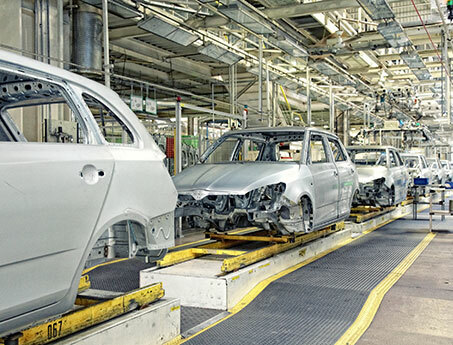 Where could they find a universal testing machine that could be designed to meet all their needs and their budget? Dexter Axle performs routine tests of daily in-process manufacturing friction welds on axle assemblies using a Reihle electromechanical tensile testing machine. However, Dexter’s main line of heavy duty axles, Torflex, uses rubber components that are integral to the product’s performance. The question: how do you test these rubber components? Karl Storz is an international manufacturer of medical devices and instruments. 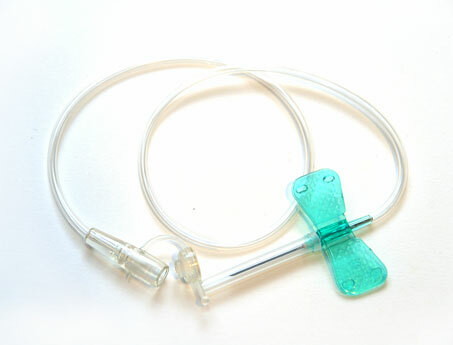 In order to develop better, stronger products, engineers needed to gain more structural and performance information about their endoscope tubing. They considered building their own universal testing system, but this proved unrealistic. What did they do next? Why do Customers Choose ADMET? Learn about our core values or determine if investing in universal testing equipment makes sense for your company. Ease of Use: Every ADMET system is built to be predictably easy to use. 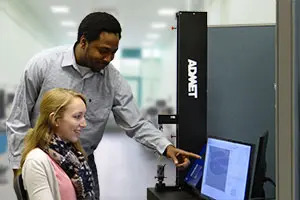 Configured to your needs: Diagnosis is a key word at ADMET. Our sales professionals and engineers are trained to diagnose requirements, not guess! Competitively Priced: It’s not about being cheap! It’s about offering the best value in terms of functionality and performance in the industry. Customer Centric: Our focus is not on Purchase Orders but on improving our customer’s performance. Accuracy: Our objective is to deliver consistent accuracy enabling customers to conduct comprehensive, repeatable tests to ASTM or ISO standards. Use our Load Calculator to determine how much force is required to test your samples. 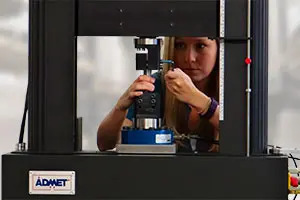 For over 25 years, ADMET has been helping customers achieve their testing goals by providing cutting edge equipment and comprehensive support.